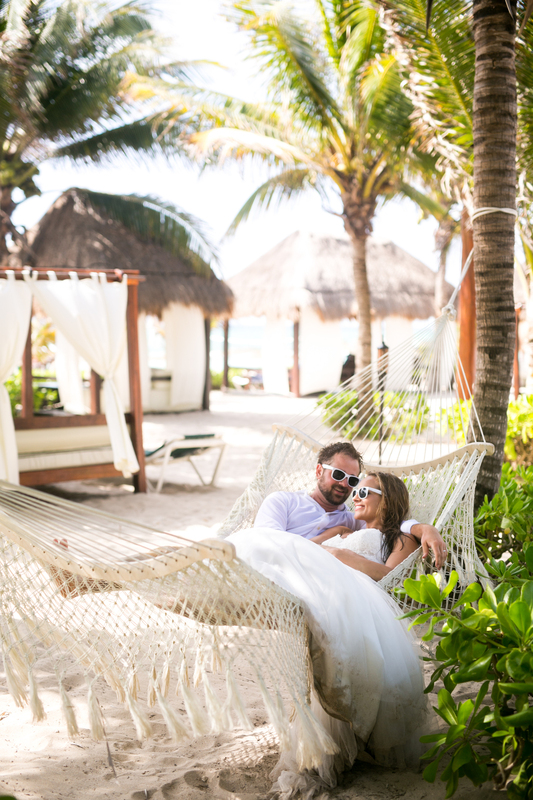 The day after Elise and John's wedding at the El Dorado Royale resort on the Mexican Riviera Maya (see Part 1 for the beautiful wedding day! ), the newlyweds put their wedding finery back on for photos that were all about fun in the sun. While Elise's lace Lis Simon 'Farlow' gown undoubtedly got a little... less clean... as a result, we hesitate to call this a "trash the dress" session (ok, maybe because that phrase hurts our hearts a little, being that we treat our wedding gowns like the delicate beauties they are!). 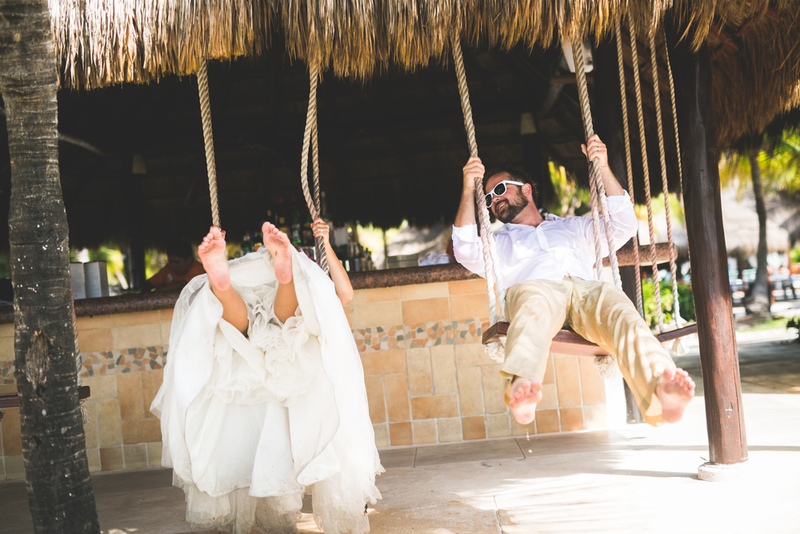 Rather than focusing on "trashing" her dress, though, this day-after photo session is all about basking in that just-married glow and squeezing every ounce of fun out of their gorgeous Mexican wedding weekend. When done this way, we say YES WAY to doing a day-after photo session. For brides who would love a day-after session but cringe at the thought of their gown getting a major dose of chlorine, sand, and sea water (we totally get you) - a white sundress would work just as well! Wishing Elise and John a lifetime of adventure! With many thanks to Daylene Wilson Photographic for sharing these amazing photos.